The Kiwi Alarms team have been helping Auckland enterprises to stay in business and operate safely for more than 20 years. Our cameras are used in a multitude of ways to capture crime, deter crime, monitor employees, protect employees, observe manufacturing processes and simplify logistics. Advanced systems can include features such as motion detection and email or phone alerts. Recording and storing the information captured by CCTV cameras has come a long way in recent years. 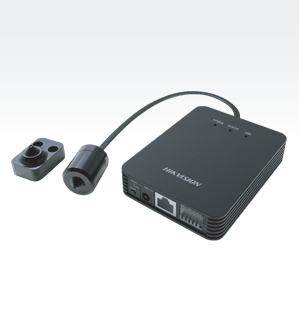 The NVRs (network video recorders) we use record video in a digital format to a disk drive, USB flash drive or SD memory card. We work with a number of technology brands to supply the digital or analogue camera system that’s most appropriate for your requirements and budget. Why use CCTV in your business? CCTV is an electronic witness – a spy camera can prove guilt, innocence and involvement. It helps to reduce crime, because potential offenders are deterred when they see a ‘CCTV active’ sign. It protects your employees – live time monitoring of cameras can enable an early intervention if there’s an incident, such as a hold-up or assault. CCTV can also help with business management – it can spot the arrival of a delivery or customers to your front door. If you run complex manufacturing processes, CCTV can help to protect productivity by seeing issues before they become big problems. It’s often used in conjunction with alarm systems. Every year retailers lose an unspeakable amount of bottom line to shoplifting, burglary and employee theft. Video surveillance is both a deterrent and a way to catch criminals. Spy cameras can be placed at entrances and exits, on the sales floor and by the cash register. It’s also smart to protect your warehouse and parking area. Business associations, parking companies and shopping centres benefit from video surveillance to protect their customers and lower the crime rate. The more surveillance out there, the better the odds of chance of catching criminals. Protect your assets, data, employees and productivity. CCTV can help you to meet health and safety requirements and ensure employees stay productive. We understand the regulations around what’s legal in the workplace, as far as surveillance goes. Kiwi Alarms regularly work with manufacturers who use CCTV in many ways. There’s the usual security and protection angle, but there’s also increasing use of video surveillance within production processes. A bullet camera is shaped like a rifle bullet. It’s unobtrusive and can be mounted easily on ceilings or walls. The bullet cameras used by Kiwi Alarms provide excellent picture quality and video recording. A turret camera works around the clock – it has excellent night vision. Picture definition is high and cost is affordable. With a protected dome, this camera can handle almost anything that’s thrown at it. A touch, high-definition camera for vandal-prone situations. Designed to look like a screw head, nobody would ever suspect it was there. There’s no point having a camera if you’re not recording what it’s seeing. The network video recorders (NVRs) we use can be placed almost anywhere and work with both digital and analogue cameras. Click to contact us to receive information of all the options available. © Copyright 2017 Kiwi Alarms Ltd. All rights Reserved.